Seems like it was just yesterday that Snoop Dogg was strolling Pete Carroll’s sideline at USC. 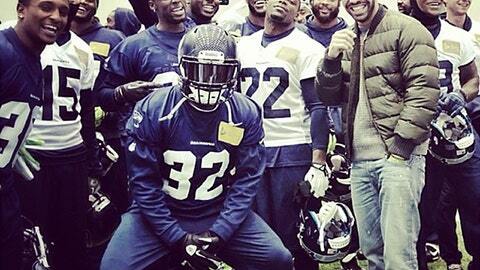 Well, the head coach was able to get rap mogul Drake to visit the Seahawks on Thursday. Hey, if Russell Wilson is a fan, you better believe the 12th man will be supporting him too.